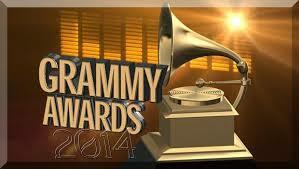 The 56th Annual Grammy Awards will be held on January 26, 2014, at the Staples Center in Los Angeles. The show will broadcast on CBS at 8 p.m. ET/PT. The show was moved to January to avoid competing against the 2014 Winter Olympics in Sochi. This year’s Producer Of The Year, Non-Classical nominations go to Rob Cavallo, Dr. Luke, Ariel Rechtshaid, Jeff Tweedy, and Pharrell Williams. This year’s GRAMMY Awards process registered more than 22,000 submissions over a 12-month eligibility period (Oct. 1, 2012 – Sept. 30, 2013). GRAMMY ballots for the final round of voting will be mailed on Dec. 11 to the voting members of The Recording Academy. They are due back to the accounting firm of Deloitte by Jan. 8, 2014, when they will be tabulated and the results kept secret until the 56th GRAMMY telecast. For more information about The Academy, please visit: www.grammy.com. For breaking news and exclusive content, follow @TheGRAMMYs on Twitter, like “The GRAMMYs” on Facebook, and join The GRAMMYs’ social communities on Foursquare, GetGlue, Google +, Instagram, Pinterest, Tumblr, and YouTube. Want to be part of the YTMAs on November 3rd? You could announce YouTube’s Artist of the Year award. Make a crazy video of yourself saying a single word, and submit it on: https://putmeintheytmas.com If your video is chosen, it’ll appear in front of millions of people this Sunday. Google’s video sharing service announced the 90 minute awards show. 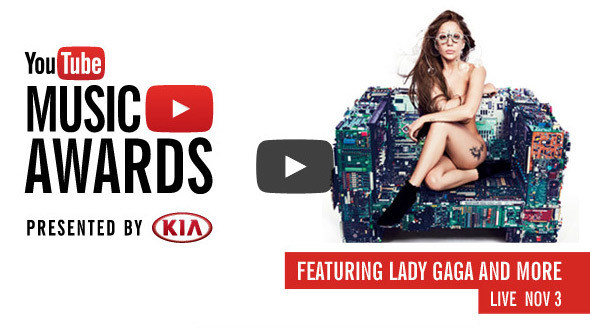 YouTube users will drive the nominations, and users will vote for the winners. YouTube will showcase hours of prerecorded performances taped across the world. 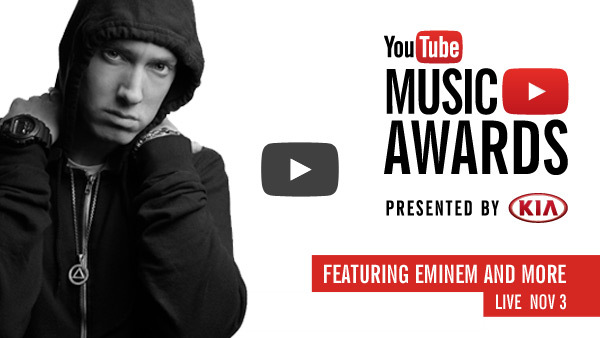 YouTube has announced the artists and videos for its first annual Youtube Music Awards, with the voting process starting today. Based on views and ‘fan engagement’, Miley Cyrus, Lady Gaga, Girls Generation and PSY (still). At the same time, the users and less mainstream artists that make YouTube what it is are also represented in categories like “Response of the Year” and “Innovation of the Year.” place your vote at the source link and expect to hear who the winners are at YouTube’s live event in New York on November 3rd. Lady Gaga to Command the Stage as She Performs the First Single from Her Highly Anticipated New Album ARTPOP Live for the First Time Ever. MTV, MTV News’ Sway and fans announced today from the Brooklyn Promenade via its various social media platforms that megastar, singer-songwriter Lady Gaga will perform the new single from her highly anticipated upcoming fourth studio album, ARTPOP, for the first time ever LIVE on the 2013 “MTV Video Music Awards” stage from Brooklyn’s Barclays Center on August 25 at 9:00pm ET/PT. 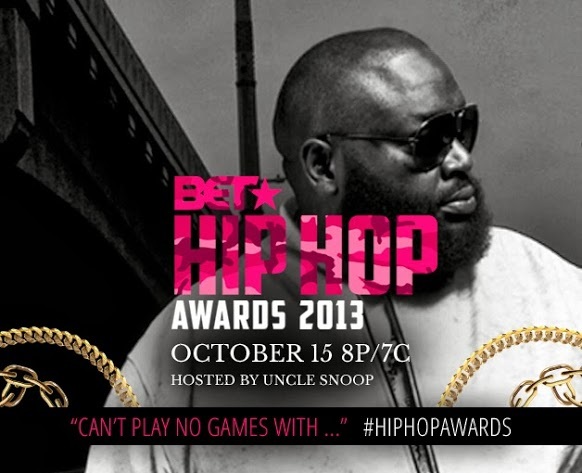 Additional 2013 “MTV Video Music Awards” performers will be announced at a later date. From her powerful and bloody rendition of “Paparazzi” to the gender bending, adrenaline fueled version of “You and I,” Lady Gaga is the mastermind behind some of the most memorable VMA performances in recent years. This year, she’ll continue that legacy with what’s sure to be an unforgettable performance of the first single to be officially released from her fourth full length album, ARTPOP, on August 19th. In celebration of the forthcoming performance, MTV Hits, MTV’s 24-hour music channel, will feature an hour block of Lady Gaga videos and performances from 3-4pm ET/PT. Other notable nominees receiving multiple 2013 Video Music Award nods range from the worlds of Pop, Hip-Hop, EDM, R&B and Rock and include previously nominated artists such as Taylor Swift, Drake, fun., Calvin Harris, and the Yeah Yeah Yeahs as well as first-time VMA nominees Kendrick Lamar, Lana Del Rey, The Weeknd and Capital Cities. Winners will take home a special-edition Moonman, re-imagined by world-renowned, Brooklyn-based artist KAWS created exclusively for this year’s show. To build anticipation for the show, MTV launched a successful cross platform social campaign, #RoadToTheVMAs, which features the Moonman in a myriad of iconic locations throughout Brooklyn and NYC. Thus far, the campaign has garnered more than 45 million social media impressions to date including over half a million likes on Instagram, 30.4 million impressions on Twitter, 13.5 million impressions on Facebook and 1 million impressions on Tumblr. MTV continued its creative use of social media by rolling out the 2013 VMA nominations as a series of imaginative stop motion videos created by 23-year old artist, Khoa, on the @MTV Instagram and Vine accounts. For additional information on Lady Gaga or any VMA nominated artist, including music, videos, interviews, and news, visit MTV’s Artist Platform (Artists.MTV.com) a music discovery site that powers MTV/CMT/VH1’s network of 60 million passionate music fans online and 100M homes on-air. For updates, to see photos or for additional information on this year’s show, please head to VMA.MTV.com or https://www.mtvpress.com and f,ollow @mtv on Instagram or Twitter. Official sponsors of the 2013 MTV Video Music Awards adidas Originals, COVERGIRL, Kia Motors, Pepsi®, State Farm®, Taco Bell®, and Windows Phone. Since the first “MTV Video Music Awards” aired in 1984, the VMAs instantly earned its reputation for delivering the most popular bands and artists to create the loudest, most influential and at times, the most controversial, annual live celebration of music in the world. No other award show has been responsible for creating more memorable or bigger musical moments in pop culture history than the MTV Video Music Awards. From Madonna, Michael Jackson, Guns N’ Roses and Nirvana to Britney Spears, Taylor Swift, Beyoncé and Kanye West, an appearance on the VMA stage can forever change the trajectory of an artist’s career in one single night. The 2012 “MTV Video Music Awards,” broadcast live from STAPLES Center in Los Angeles, was the #1 telecast across all TV for the night of September 6, 2012 in P12-34, scoring a 5.3 P12-34 rating with 6.1 million total viewers. Across the Viacom networks (MTV, VH1, MTV2 and Logo) the simulcast of the premiere averaged 8.0 million total viewers. Encore presentations of the 2012 show on MTV earned a 2.4 P12-34 rating at 10:00 p.m., and a 1.2 P12-34 rating at 12:00 a.m., for a total rating of 8.9 for the evening. At the time, the telecast was also the #1 social TV event of the year according to Trendrr. With more than 19 million mentions, the 2012 VMAs more than tripled the full-day social-media response of 2012’s record breaking telecast. In addition, MTV drove more online streams on this date than any other VMA show ever, and generated nearly a whopping 200 topics trended throughout the night, both in the U.S. and worldwide. The 2013 “MTV Video Music Awards” will air across MTV’s global network of more than 60 channels reaching more than a half-billion households around the world as well as through syndication. In addition, its convergent programming and content will reach the entire interactive community, via MTV’s more than 200 digital media properties around the world. The 2012 VMAs was one of MTV’s top performers in key markets across Europe, Latin America, Asia and Australia. Jesse Ignjatovic/Den of Thieves is the Executive Producer for the 2013 “MTV Video Music Awards.” Amy Doyle, Garrett English and Dave Sirulnick are Executive Producers. Joanna Bomberg, Jen Jones and Lee Lodge are Co-Executive Producers. Hamish Hamilton is Director. Wendy Plaut is Celebrity Talent Executive. In celebration of the announcement, MTV will be playing an hour-long block of West’s videos and performances on MTV Hits and MTV Jams from 4-5pm ET/PT. The only other confirmed 2013 VMAs performer is Lady Gaga, who will be debuting her first single, “Applause,” off her upcoming album ARTPOP. MTV will be making additional announcements about VMAs presenters and performers in the coming weeks. The ceremony will be shown in the UK on Monday 26th August. MTV announced today via its various social media platforms that megastar Kanye West is set to perform on the “2013 MTV Video Music Awards” stage LIVE from Brooklyn’s Barclays Center on August 25 at 9:00pm ET/PT. Following his performance of “BLKKK SKKKN HEAD,” Kanye will triumphantly enter the history books by tying Madonna as the artist with the most VMA performances. Both artists have notched performances at seven separate VMAs. In celebration of the forthcoming performance and feat, MTV Jams, MTV’s 24-hour hip-hop music channel and MTV Hits, MTV’s 24-hour music channel, will feature an hour block of Kanye West videos and performances from 4-5pm ET/PT. On Wednesday morning, MTV’s AMTV will feature playlist of Kayne videos and performances. The announcement was made today from the iconic Brooklyn Bridge and shared across MTV’s social channels on Twitter, Facebook, Instagram and Vine. As a three-time VMA award winner, Kanye West has delivered some of the most visually stunning and memorable performances to date including the first look at Watch The Throne – which would become the highest grossing tour in hip-hop history – “Otis” with JAY Z in 2011; the innovative, theatrical staging and visuals of “Runaway” in 2010; his performance debut with auto-tune on “Love Lockdown” in 2008, a sound that would influence and dominate the charts for years to come; the hugely-influential, Daft Punk-sampling “Stronger” and “Good Life” with T-Pain in 2007; the mega-hit “Gold Digger” featuring Jamie Foxx in 2005, and his VMA debut performance with a medley of “Jesus Walks/All Falls Down/Through The Wire” featuring Chaka Khan in 2004. With this forthcoming performance, he will tie Madonna as the artist with the most VMA performances with performances at seven separate VMA ceremonies. West joins previously announced VMA performer Lady Gaga, who will perform the new single from her highly anticipated upcoming fourth studio album, ARTPOP. 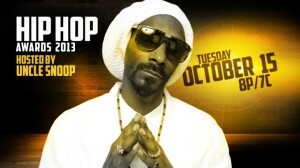 Additional 2013 “MTV Video Music Awards” performers will be announced at a later date. Other notable nominees receiving multiple 2013 Video Music Award nods range from the worlds of Pop, Hip-Hop, EDM, R&B and Rock and include previously nominated artists such as Taylor Swift, Drake,fun., Calvin Harris, and the Yeah Yeah Yeahs as well as first-time VMA nominees Kendrick Lamar, Lana Del Rey, The Weeknd and Capital Cities. To build anticipation for the show, MTV launched a successful cross platform social campaign, #RoadToTheVMAs, which features the Moonman in a myriad of iconic locations throughout Brooklyn and NYC. Thus far, the campaign has garnered more than 53 million social media impressions to date including over half a million likes on Instagram, 37.5 million impressions on Twitter, 14.4 million impressions on Facebook and over 1 million impressions on Tumblr. MTV continued its creative use of social media by rolling out the 2013 VMA nominations as a series of imaginative stop motion videos created by 23-year old artist, Khoa, on the @MTV Instagram and Vine accounts. For additional information on Kanye West, Lady Gaga or any VMA nominated artist, including music, videos, interviews, and news, visit MTV’s Artist Platform (Artists.MTV.com) a music discovery site that powers MTV/CMT/VH1’s network of 60 million passionate music fans online and 100M homes on-air. For updates, to see photos or for additional information on this year’s show, please head to VMA.MTV.com or www.mtvpress.com, and follow @mtv on Instagram or Twitter. Official sponsors of the 2013 MTV Video Music Awards adidas Originals, COVERGIRL, Kia Motors, ORBIT® GUM, Pepsi®, State Farm®, Taco Bell®, and Windows Phone.